You are aware of the fact that the celebrated Rosetta comet mission will be deploying its Philae Lander unit in a soft and controlled landing on comet on Wednesday, but what you may not know is that most of the operation has been made possible by UK’s space technology and expertise. The UK never really advertised its roles in the potential success of the Rosetta comet mission, and it never really intends to do that, but it might be helpful to know its contributions to the success of the space program. The Rosetta has been orbiting the 67P/Churyumov-Gerasimenko since August, and landing on comet will be a prayer answered to the US, the UK, and all countries that contributed one way or the other to the success of the comet mission – but much more than this, the comet mission will yield a lot of information and knowledge about the composition of the comet and perhaps also provide some information about how life began on Earth. The ADS is the trade body representing UK’s aerospace, defense security and space companies. And to this end, the ADS provides over 100,000 jobs in for all and sundry, employing 34,300 people for high skilled roles and another 72,000 people for indirect job roles in the UK’s space industry. And there’s some benefit to this – it’s boosting UK’s oversea trades in no small measure and the Rosetta comet mission is proof to this. 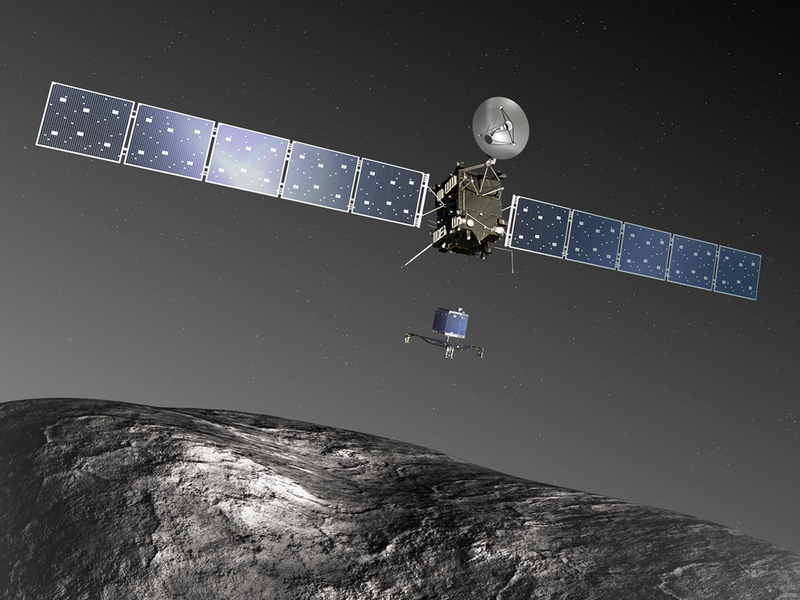 Although over 50 contractors from 14 European countries collaborated to make the Rosetta space mission an overall success, the UK companies that contributed to the design and construction of the Philae Lander include: e2v, based in Chelmsford; ABSL Space Products (formerly AEA); Surrey Satellite Technology Limited; Moog; BAE Systems; Airbus Defence and Space (formerly Astrium); Telespazio VEGA Group, based in Luton; SciSys; and ERS Technology among others.